The Australian Competition and Consumer Commission has warned telco companies not to gouge customers on low-end national broadband network plans, after new wholesale pricing saw a flood of customers move onto higher-speed plans. 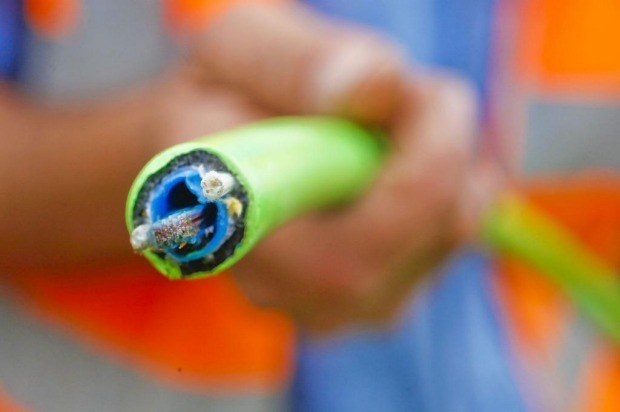 Figures released on Tuesday showed NBN Co’s aggressive campaign this year to reduce the cost of high-speed broadband had worked, seeing a 20 per cent rise in the number of consumers moving on to 50 megabit per second (Mbps) plans. But ACCC chairman Rod Sims warned the measures could result in the 1.2 million households still choosing lower-speed NBN plans losing out. NBN Co offers retailers 12, 25, 50 and 100 Mbps NBN plans. The 12 Mbps speed is equivalent to speeds available on the old ADSL2 technology, meaning customers choosing this are not really benefiting from the superior fibre network. There are now more than 4 million residential connections to the NBN, around half of which are high speed. The main danger, Mr Sims said, was either that retailers would scrimp on bandwidth on these deals, or that NBN would increase the cost of slower speed plans. “More people are using the NBN for what it was built for, and it was built for 25 Mbps and above, and so that’s good,” Mr Sims told The Australian Financial Review. But he cautioned both NBN Co and the retailers to “make sure that people for whatever reason who want to stay on 12/1 service can still get a good service at a reasonable price, which was the original deal”. The ACCC’s figures revealed 4.1 million premises were connected to the NBN at the end of September. Of those, around half were on high speeds, with 1.8 million on 50 megabits per second (Mbps). That was a tenfold increase on December 2017, when higher wholesale prices were seeing consumers overwhelmingly opting for lower speeds of 12 or 25 Mbps. The reason for this surge, the ACCC said, was NBN Co’s temporary “Focus on 50” promotion, which gave retailers 50 mbps plans for the price of 25 mbps plans.The promotion also threw in 50 per cent extra bandwidth – or Connectivity Virtual Circuit (CVC) – free, ensuring high-quality connections are maintained during busy periods. That promotion ended in last month, but NBN Co’s new bundled pricing – which guarantees sufficient CVC – aims to keep high-speed plans at similar price levels. NBN Co’s new bundle deals do not extend to low-speed plans. For these plans, retailers must purchase bandwidth separately, resulting in less clear incentives for them to give customers a good deal. Mr Sims said the regulator would now be focusing on the lower end of the market, particularly on 12 Mbps plans, a segment that continues to grow and currently accounts for 1.2 million connections, or a quarter of the market. “It is important that NBN Co recognises the needs of this significant cohort of consumers for an affordable and reliable service,” he said.